We use 5th grade writing to supply all of the narration and video portions of our program. 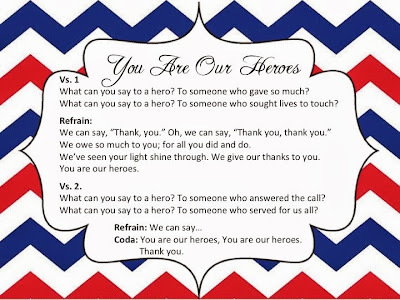 In the past, we have simply given a writing prompt and told them to write about that, or they create a poem or write a letter to a veteran. While this method provided plenty of material for the program, it was difficult to organize the students' thoughts in a way to make the program flow. This year, I decided to provide a 3-page questionnaire for each student to complete during their writing class. The questions were written to help organize the students' writing into topics that we wanted to include in our video presentations. We instructed students that they didn't have to complete every question, and that they should start with the ones they felt the most strongly about. 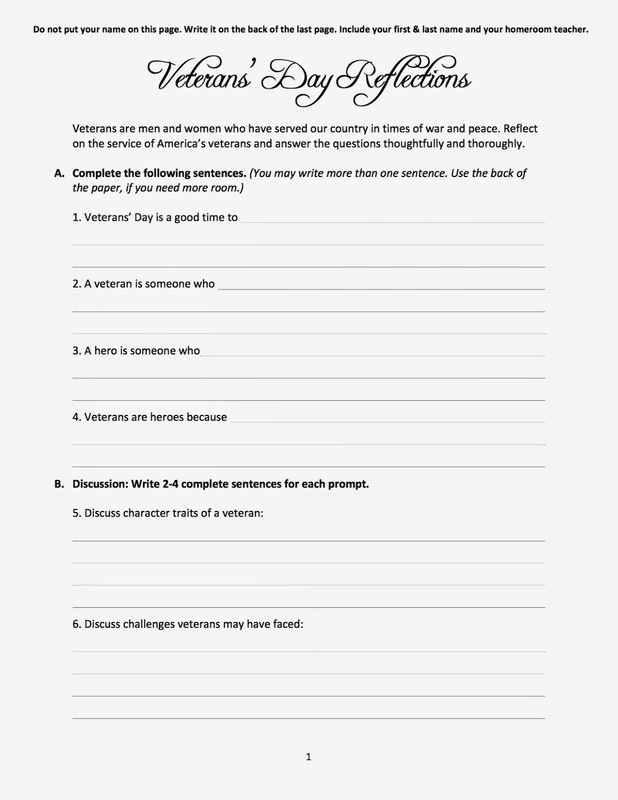 The last page was for a letter to a veteran, which could be to any veteran, or to someone they know. While we have gotten some good information in the past, this year's writing seems to feel more personal. There is a place for them to tell something about a veteran, and we have learned about sacrifices veterans made, such as grandfathers missing out on their child being born. My fellow music teacher and I read through all of the papers (approximately 120) to select the writings that will be featured, and we do not want to know whose paper we are reading. 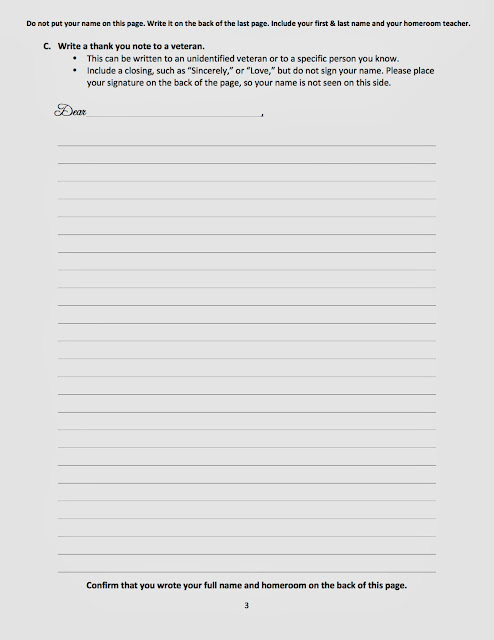 We prefer to select solely on the quality of writing. 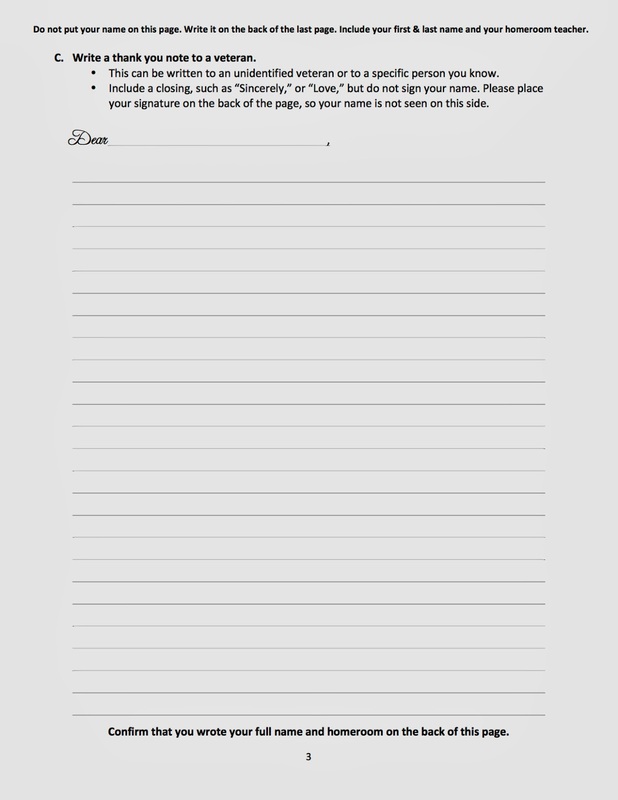 Therefore, students are instructed to only write their name and homeroom teacher on the back of the last page. 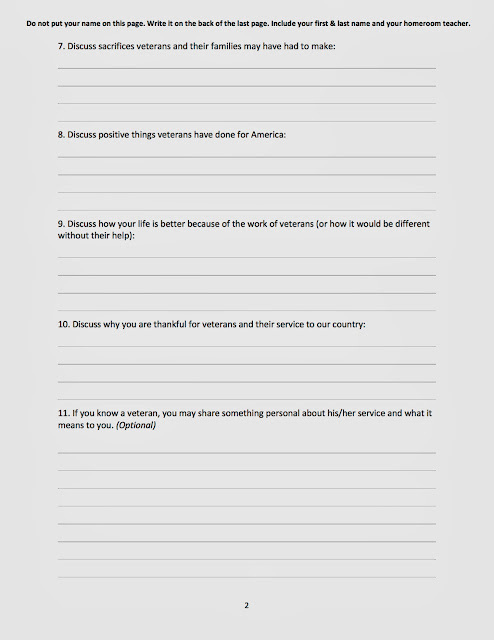 This questionnaire doesn't have to be used for a extracting thoughts for a program. The writing assignment has merit on its own. 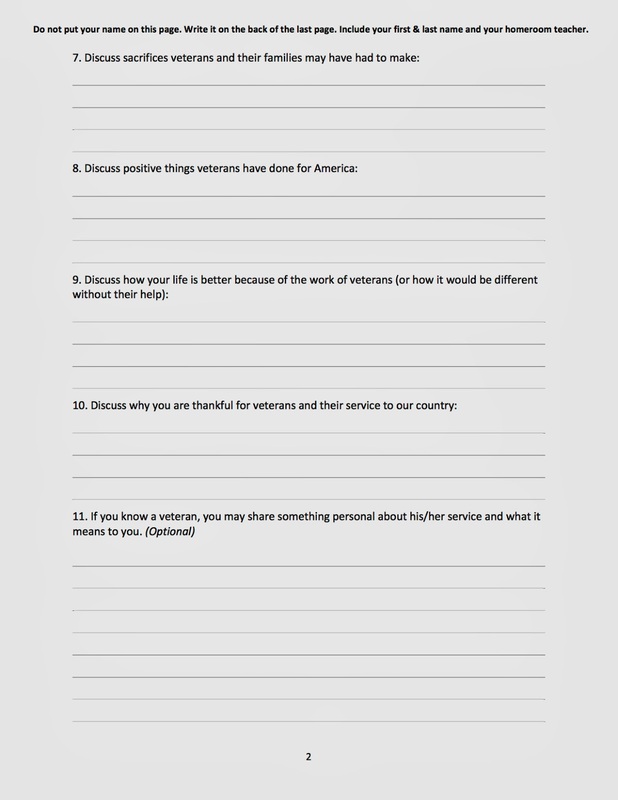 I feel the questions led students to reflect on veterans and their sacrifices and service for our country, which is a good thing. I know it's a little early, but due to some early dismissals for parent conferences next week and the fact that I will be attending the national NAfME conference in Nashville the next week, I am trying to pack in as much Halloween fun as possible. My kindergarten and 1st grade classes are learning "Must Be Halloween" this week, and they are playing instruments as they sing. Here's a Halloween PowerPoint slide for the song, which is in Jeff and Randy's GamePlan. See their book for the melody and their complete lesson plans for this song. The song is either in the 1st or 2nd grade curriculum. I don't have my books at home and don't recall at the moment. I'll try to remember to edit my post later. If you don't already have any of their GamePlan books, I recommend purchasing them for well thought-out, high quality lesson plans that the students enjoy. My kindergarten students have been doing a lot of drumming to work on their steady beat, but this is the first time they have played xylophones. I like to limit the number of students playing at once on their first xylophone experience, so I can assist students as much as they need. I set up four instruments in a square and let the students line up behind each one. I sat in the center, so I could reach all of the children. They played a steady beat bordun on D and A. After they played, they rotated to the end of the next line. We continued until each student had played all four xylophones. Students in line continued to sing & pat the beat on their thighs. I gave my first grade classes a little challenge. All students went to instruments to sing and play. I had two rows of barred instruments with triangles interspersed. Students played xylophones on beats 1, 2, & 3, and rested on beat 4. Triangles played on beat 4. It worked great, except for the third line where there was a word to sing on the rest. 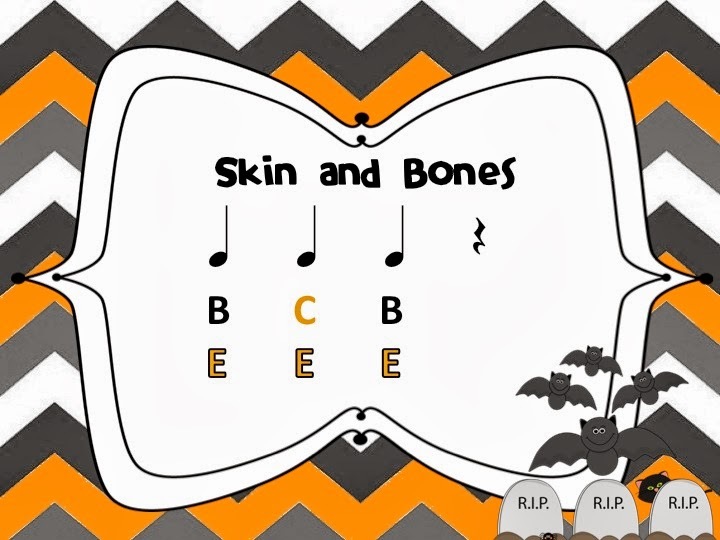 It may be easier for first graders to only rest on the xylophone and play triangles after "halloween" each time and not worry about the third line. Looking for more Halloween fun? See some of my other favorites here and here. There are so many fun fall and Halloween songs, that it is impossible to find time to fit them in to my lesson plans. However, there are a few favorites that I absolutely must make sure to include, and "Skin and Bones" is one of them. 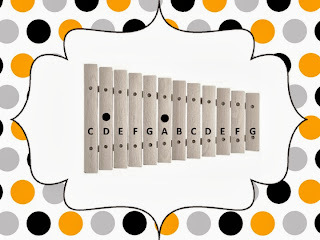 It is a wonderful opportunity for the children to experience a song in a minor key, and they love the surprise ending. 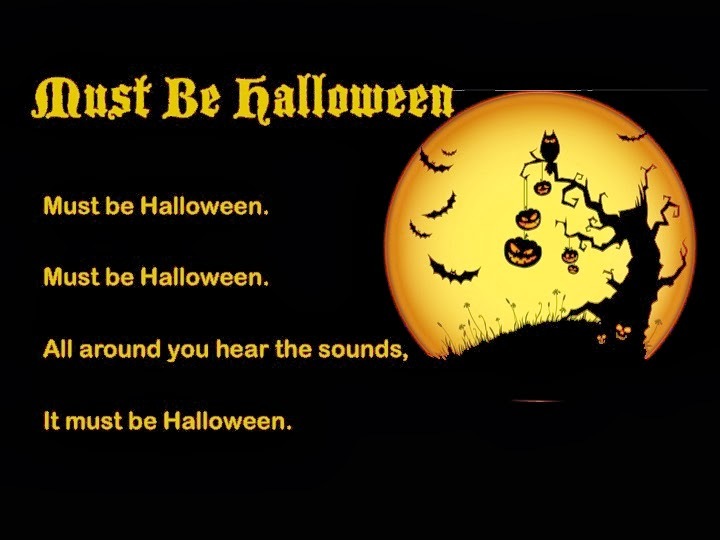 (Another favorite is "What Will You Be for Halloween?" You can read more about it in my previous post by clicking here. Our textbook series (Silver Burdett Making Music, 2nd Grade) has a good sound track for this song, and sometimes I'll use it for a dramatic, spooky-fun activity that the students beg for year, after year. 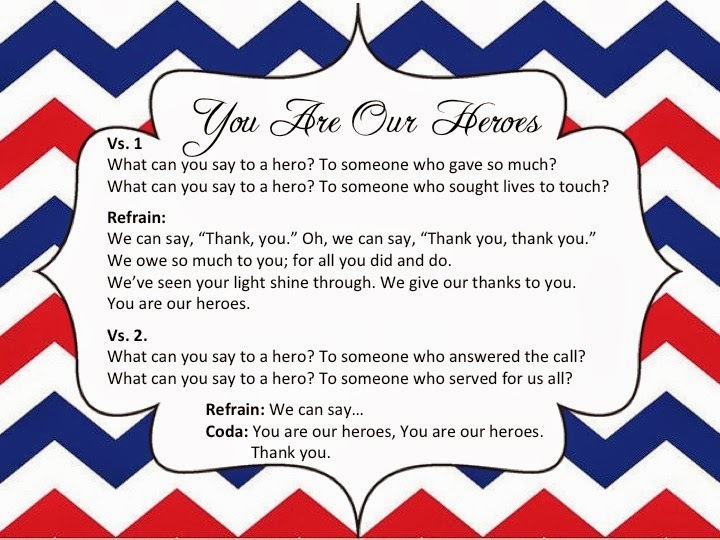 I typically begin using this activity with my second graders. 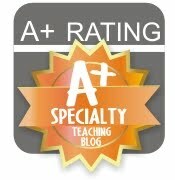 I turn the lights off and have the students scatter around the room and lie down on their backs with their eyes closed. As the song plays, I hide a vibraslap behind my back and quietly walk around the "graveyard," making sure that I pass near each student. At the end of the song, on "Boo!" I play the vibraslap near an unsuspecting child, and the class erupts in shrieks and giggles. I try to pick a child that I know will not be upset by the loud sound, and so far, it has worked. Sometimes we use silly words to help us prepare and remember which bars to play, or when to play the triangles. For instance, in the pattern for this song, we sing, "Eggs & Bacon," "Eggs & Cookies," "Eggs & Bacon," "Ching" (for the triangle part). Since the left hand remains on one bar and the right hand moves to its next door neighbor, it can be a little confusing for students, at first. We practice on our thighs prior to moving to the instruments. When I notice students struggling at the instruments, I tell them that they can focus on their left hand until they are ready to add the other. They feel so proud when they are able to play it successfully. We also add triangles on the rests. 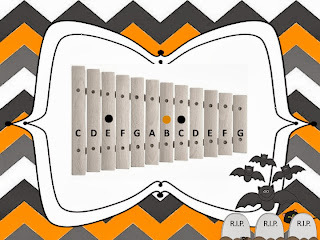 You can finish with a vibraslap and everyone playing their triangles or any two pitches on the barred instruments on the word, "Boo!" I'm not sure what took me so long, but I recently had the idea to add a photo of a xylophone with the bars marked in my PowerPoint presentation. Now I can stand and point to the bars on the screen, which is large enough for everyone to see. As a visual learner, I can't believe I just now thought of it. I know a lot of people use visuals of barred instruments to demonstrate, and I've even put glockenspiels under my document camera before, but this is SO much easier. Ha! All of these images are jpeg files directly from a PowerPoint, so you should be able to copy them and paste them right into your own presentation, if you would like to use them. The clipart and clipart frames are from My Cute Graphics, which has a wealth of adorable clip art appropriate for classroom use.